What is the best countertop to buy? What counter materials are available? 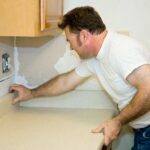 How do you repair or install countertops? This guide will help. A key decision when remodeling a kitchen is choosing the type of countertops to buy. Because they’re essentially glorified workbenches, countertops are generally very durable, flat surfaces located at a convenient height for handling household tasks. The task a given countertop is meant to handle, of course, depends upon the room it is in. In the kitchen, counters are intended for food preparation, serving, and cleanup. In the bathroom, they’re used for makeup application, shaving, and such. And in offices and hobby areas, countertops provide surfaces for various types of work. 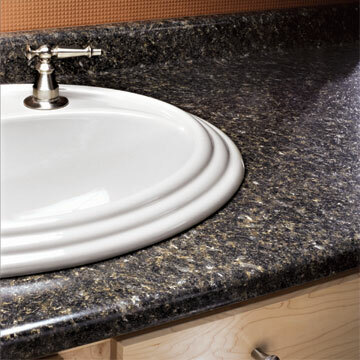 Countertops are made from a wide variety of materials in scores of colors, textures, patterns, and styles. 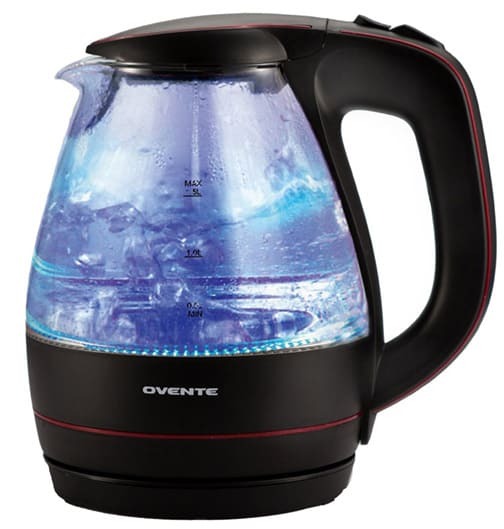 With this in mind, choosing the right one can be a bit daunting. But the decision is important because a countertop will significantly impact both the look and the functionality of a kitchen, bathroom, or utility space. To read more about the specific choices, see the Countertop Materials Buying Guide. Because of its water and stain resistance, durability, and natural beauty, tile is a perennial favorite for many countertop applications. Tiling a countertop is a do-it-yourself project with the right materials and tools (it may require renting a wet saw) and, perhaps more importantly, the proper planning. A level surface and a dry run of the tile layout are critical to a successful outcome. See Installing a Tile or Stone Countertop for photo-illustrated step-by-step instructions. Because countertops are highly visible, repairing cracks, breakage, and difficult stains can be challenging. In fact, with some issues, replacement of all or part of the countertop can sometimes be the only aesthetic solution. Some materials, such as tile, lend themselves to replacement if you have matching tiles available. Other materials, such as laminate, can be very difficult to repair without looking patched. Techniques for repair depend completely on the material. For information on repairing stone countertops, see Repairing Stone Countertops. 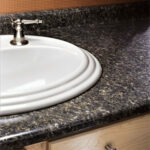 For issues with laminates, see Repairing or Replacing Laminate Countertops. For repairs to tile, see Solving Grout Problems and Repairing or Replacing Tile.